Unlimited wireless minutes coming soon for everyone? SprintNextel's new CEO Dan Hesse is trying to breathe some life back into the company. One of the strategic ideas he's tossing around is getting rid of tracking minutes for wireless plans. No one knows how soon it might happen, but we could see flat-rate wireless pricing on the horizon. How cool would that be? I don't know about you, but I am so sick of regular minutes and night minutes and weekend minutes and free minutes and not-so-free minutes. I've always felt like I've gotten the shaft on these "minutes per month" plans. Most of the time I fall way below my allotment of minutes. But a couple of times a year, I'll go way over the magic number, and I get a bill that's two or three times my regular bill. If wireless service providers want a way to make customers feel good, this might be it. The key is to offer reasonable flat rate plans. 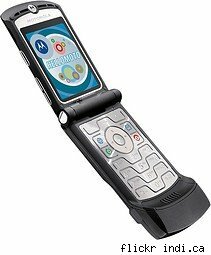 Sure, we know some renegades will use a million minutes a month, and SprintNextel will feel like they've been taken advantage of. For most of us, though, a flat rate plan will not cause the phone company to lose out, and they might even generate some happy customers for once... now that we won't have to worry about how many minutes we're talking.